I placed my hand against the curtain, pulling it away from my window. 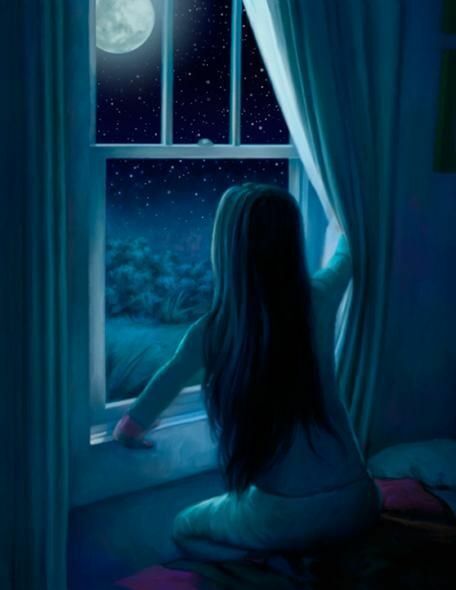 Keeping it away from my view, I gazed into the starry night outside. Something wasn’t right. Something was horribly wrong. Sticking my head out the window and scouring the outdoors for any secret police, I concluded that there were none to be seen. I pulled my head back in and turned around in pursuit of my forgotten pencil that I had hurried back from church for. After my fingers grasped the pencil in my bin amongst the writing utensils I had collected (old-fashioned quills, pens, pencils and such) I whirled back around to face the open window. My eyes instantly spotted them – four un-uniformed men, talking in hushed voices, heading for our church. I recognized their faces, and I perceived they weren’t visitors. Secret police, I knew. I have to warn Father! With my pencil curled tightly in my balled fist I darted across the bedroom my older sister Bree and I shared. My feet clambered down the stairs and bolted through the door of our house, desperate to get to the church before the secret police did. Adrenaline drove me on as I raced over the wet grass between our house and the church as fast as I could. My heart sledgehammered against my chest, pounding so loudly I was afraid the secret police would hear. It didn’t matter, though; when they saw twelve-year-old me running for the church, I knew it was on. Bursting through the entrance gave me unwanted attention from the people in the pews. I gasped for breath, looking around for any member of my family. Where was father? Bree! I realized when I saw my older sister’s beautiful dark hair. She was sharing her Bible with everyone on the pew crowding next to her. Bibles were so very precious and scarce, and no new ones were being printed because the harsh government wanted to keep Christianity under control. Swiftly I slid into the pew beside her, dropping my pencil next to me. “Bree!” I hissed. She turned around, her piercing blue eyes glaring at mine. “Shh!” My sixteen-year-old sister hushed harshly, wondering why I was making such a ruckus in the middle of church. “Secret police,” I gasped finally, trying to keep my panicked voice low. 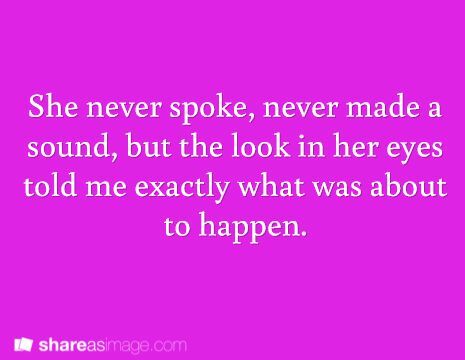 Her eyes widened at the dreaded words. “Are you sure?” Bree’s voice came out as a quiver. Before she finished speaking I had shot up out of my seat and was already speeding toward the back room. Nobody was allowed in except for church staff and of course, our family – father owned this church. More like the government owned it, of course; every sermon had to be reviewed before it was given, and father had to renew his license to preach every two months with costly fines. And secret police, of which we knew the faces of by now, were always showing up to hear our sermons. If anything went against the government or its leaders, the preacher was in serious trouble. That’s why I had to tell father. His message tonight was trust in God; the secret police would be absolutely infuriated. Even when the points of the sermon passed the review, Father would say what he felt led in his heart to say – in addition to the points. Last time the secret police were angry, it didn’t go so well. One of our staff members who had preached that night had been imprisoned – and still hadn’t been released. “Father!” I cried, crashing through the doors. “Rhee?” Father questioned, looking up at my alarmed face. “Yes, sir,” I panted, still catching my breath. My legs felt wobbly as I made my way to where Mother sat, sharing another precious Bible with an entire row. She held it up high so everyone could see it, as did most Bible owners amongst the congregation. I sat at the end of the pew next to Mrs. Pergola, but I couldn’t bring myself to strain my eyes and peer at the priceless text of the Bible. As soon as the doors opened and closed, I twisted around in my seat and swallowed hard at the sight of the secret police. I swiveled back to face Mr. Kreff but I couldn’t focus on his offering message. My heart was doing its sledgehammer thing again as I heard the secret police shuffle into the back pew. When Mr. Kreff told us to bow our heads as he prayed over the offering, I twisted around in my seat to try and spot the secret police while had their eyes closed. Everyone, that is, except Mother. “Rhee!” Came her sharp whisper. I sat down right again, avoiding her gaze. Turning my head to my left, I scooted over so Bree could squeeze into the crowded pew. I dropped my money into the offering plate, telling God silently; please don’t let the secret police be furious today. Oh, and use this money to help the church. As father came up and began to speak, Bree and I exchanged glances. Would he continue on with his loyalty to God message, or would he change it now that the secret police were here? Or neither? Father laid both hands on the podium. He looked out over the crowd, and his eyes fixed in one spot for a moment. I knew he had spotted the secret police. But he went on as if they weren’t there. He preached just as if they had never arrived. I winced all throughout the sermon as he spoke words that would surely anger the secret police. I swallowed hard again. We were done for. There was no way the secret police would ignore that statement. When the message was over, the congregation uneasily began to make its way out the door, suspiciously eying the secret police that were obviously not a regular part of the churchgoers. “Mr. Gorendov,” the shortest man of the secret police began. He walked toward my father, who had just stepped down from the podium, clutching his cherished Bible. “Time to go, girls,” Mother commanded firmly, grabbing my hand as well as Bree’s. More than anything, I wanted to stay and here what was to become of Father due to his sermon. But Mother’s grip dragged me toward the church doors despite my reluctance. Bree and I shared another glance as Mother opened the door. Bree never spoke, never made a sound, but the look in her eyes told me exactly what was about to happen. This wasn’t the first time the secret police had warned Father about his messages. What was going to happen was not a surprise. As much as Mother refused to admit, Bree and I knew what was about to occur. Father was going to prison. But whatever happened, we had to remember what he had preached that very night; “We have to choose whom we’re going to put our trust in; the government, or God?” We both knew whom we had to trust, and the moment we did, peace filled our hearts. The government would have to do a lot more than imprison people to shake the unwavering trust and faith Bree and I had in God. Because we knew exactly Who had our backs. Woah! That was way longer than I thought it would be for my first entry, being 1,333 words. ? Grace, I used all three prompts, and I included my team’s writing utensil – a quill. I hope it was an enjoyable read, because it sure was an enjoyable write for me! 😀 I hope the title, Trust, goes with the story well. Go Team Quill! ? And I just want to thank you, Grace, for putting so much time and thought into this writing camp. It must be a lot of work to read and judge each and every writing entry. This writing camp is super duper fun so far, so thank you so much for hosting it! ooh, I’ve read that book! Really? That’s awesome! Did you like it? WOW! Madi, this was amazing! I loved every bit of the story, from the beginning to the end. It even gave me some ideas for my own dystopian story! P.S. Aww, thank you! I'm so glad you could participate in this writing camp! You’re welcome! Me, too. Thanks for letting me squeeze in at the last minute! LOL! Oh, wow, I just found the page with all of your entries! 😀 I like this story a lot. Brother Andrew’s story was so inspiring, wasn’t it? 🙂 I’ve recently been reading about Russia during the reign of Stalin. Christians have certainly been persecuted.